I’m surprised it took twenty seven years to bring The Mist to the screen, especially considering the plethora of King’s works that were being produced in the ’80s. 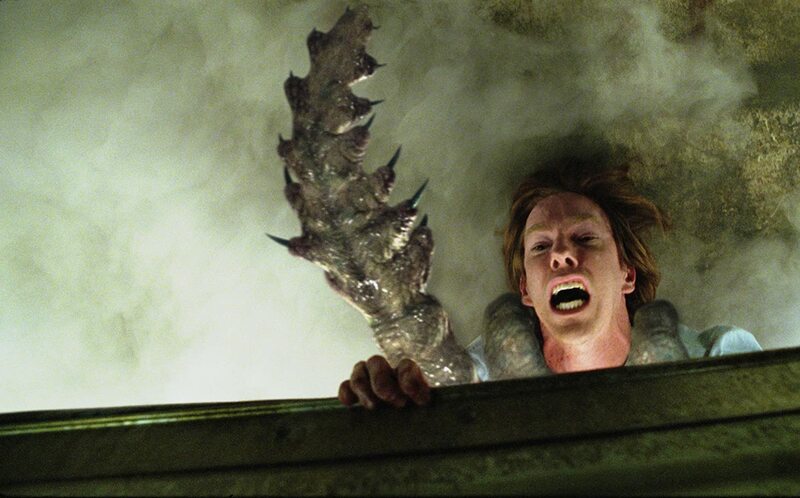 The Mist itself probably wouldn’t have been out of place in the hey day of practical effects driven horror (of which I am unabashedly an elitist about, sorry not sorry) with the various creepies and crawlies that make an appearance throughout its runtime. Instead, we’re treated to some very dated mid 2000’s CGI. I say very dated, but I have to give credit where credit is due: the minds behind The Mist knew damn well to keep a lot of the monsters obscured by shadow, fog, or anything else they could think of. There were a couple chuckle-worthy moments of dog sized mosquitoes getting a little too much screen time in well a well enough lit room, but for the most part, I think the CGI was handled with relative tact. Whether the mist itself was computer generated in most scenes I do not know, but whenever someone is brave enough to step outside and become a silhouette to their onlookers, it never looks fake. One of the hardest things to reconcile in my head while watching this film is that two of the main characters are played by Thomas Jane and Andre Braugher. The Punisher and Captain Raymond Holt, stuck together, fighting supernatural baddies. It’s kind of silly for me to find that distracting, but my housemates and I had been watching a hell of a lot of Brooklyn Nine-Nine right before I sat down and watched The Mist, so when Mr. Braugher shows up in the first five minutes as a rather emotive and foul-mouthed lawyer, I couldn’t help but laugh. Braugher and Jane are both really competent actors here though, so they both settled into their roles with ease after a few minutes of screen time. Some of the other actors felt a little too hammy for how seriously this movie took itself, namely Hillbilly Jim (William Sadler) and the extremely hate-able Mrs. Carmody (Marcia Gay Harden). Some of their dialogue comes across as cheesy and heavy-handed. At first it bothered me, but once you buy in to the film and its premise you can understand that that director Frank Darabont made the film’s tone purposefully anachronistic. We have a mid 2000s movie that feels like a ’50s creature feature based on an ’80s novella. I think it works, for the most part, despite it seeming like it could provide some serious tonal whiplash on paper. The pacing in The Mist is probably my biggest gripe. A lot of people think that it putters along at a good speed, with an appropriate amount of scary monster scenes, tense dramatic scenes, and a couple reigned in scenes for relief, but I felt like it was just a touch too slow. Every other scene had David pawning Billy off on another person or what felt like some unnecessary dialogue. Not that there are long stretches of unbroken dialogue that bring the film to a grinding halt, but many of the intense scenes build a sort of momentum that fizzles out when everybody takes a talking break. It’s a weird feeling sitting here after watching it, because I can’t think of much that I would hack off from the script. It just felt rather start-stop-start-stop in the moment. Now let’s talk about that juicy ending. The ending that Stephen King himself says he prefers over the one he penned himself. Jeeeeeeeeeeeeeeeeeeeeeez. I know Martyrs was the bleakest and most nihilistic film I’ve ever seen, but I gotta chalk this ending up as being a close second. I do wish they showed the escaping crew of people slowly realizing that their plan was futile, because when the jeep runs out of gas they all seem to buy into the quadruple suicide thing just a little too quickly for my liking. It comes across a little annoying too, with the incessant choir music blaring over footage of them slowly driving through an endless blanket of grey. David shooting Billy right in the head was absolutely heart-wrenching, and obviously, the very, very end (which I will not spoil in case there are still wandering eyes on this page, shame on you) is what ties it all together with a neat little blacker-than-the-void ribbon. 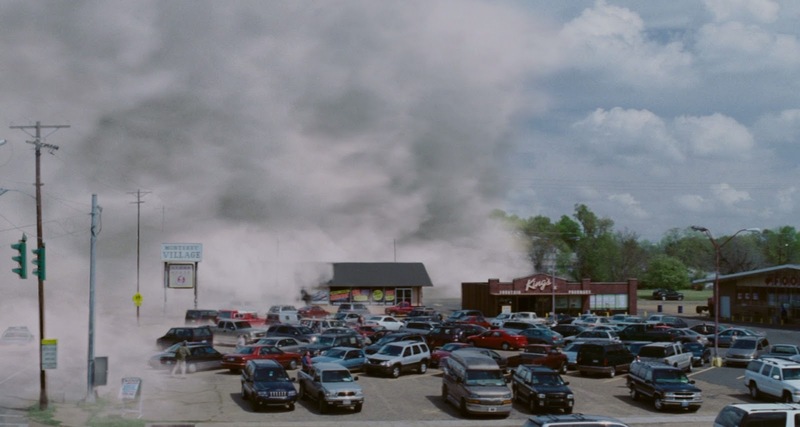 The Mist is a fine movie. I can see why it gets the acclaim it does, but it didn’t enrapture me as much as it apparently did everyone else. The acting was for the most part good and the movie didn’t devolve into a spooky jumpscare-fest which I appreciated, but in the end, it felt just a little shy of reaching its true potential. There isn’t really any big goofs to pick apart here, it just seems that everything comes together well, but not in any spectacular way. If you’re looking for a decent horror movie, The Mist will be a fine way to spend an evening.